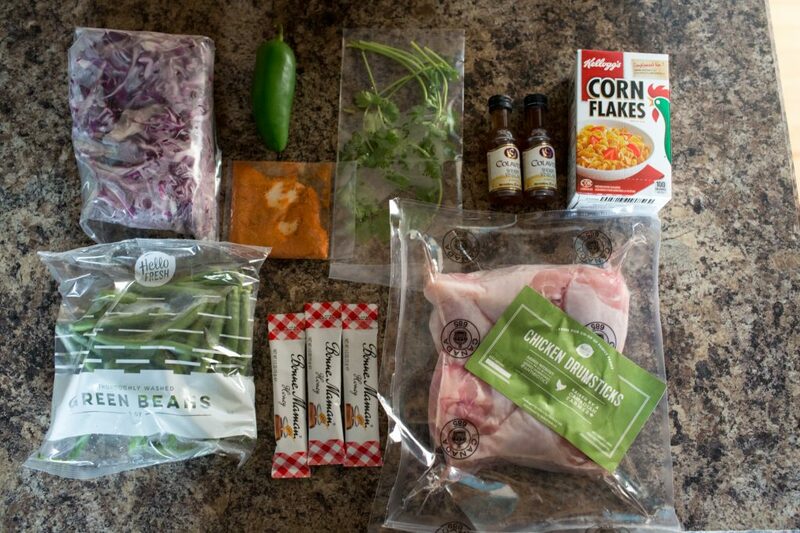 During the summer we saw a friend post on Facebook about using the meal delivery service HelloFresh. We were intrigued because it seemed like an interesting idea that could save us time when we were really busy. 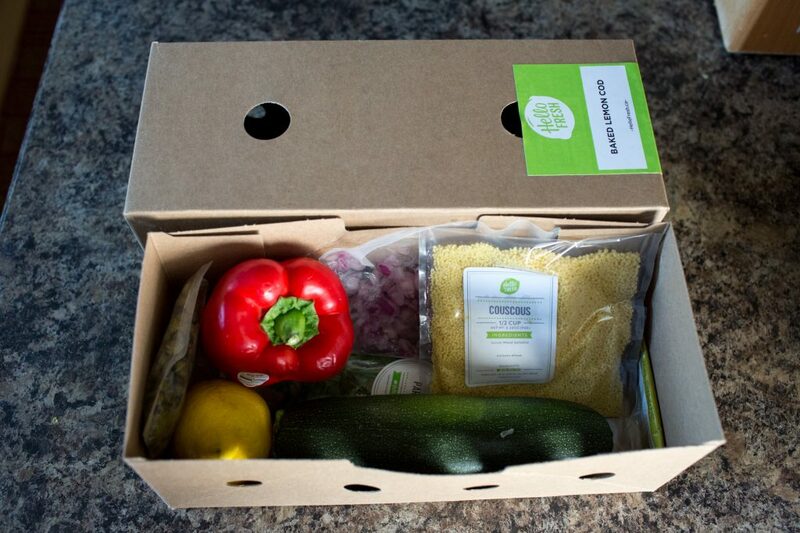 We have been using SuperStore Click N Collect (click the link to get $10 off your first order!) for over two years, but this seemed to take it to the next level. 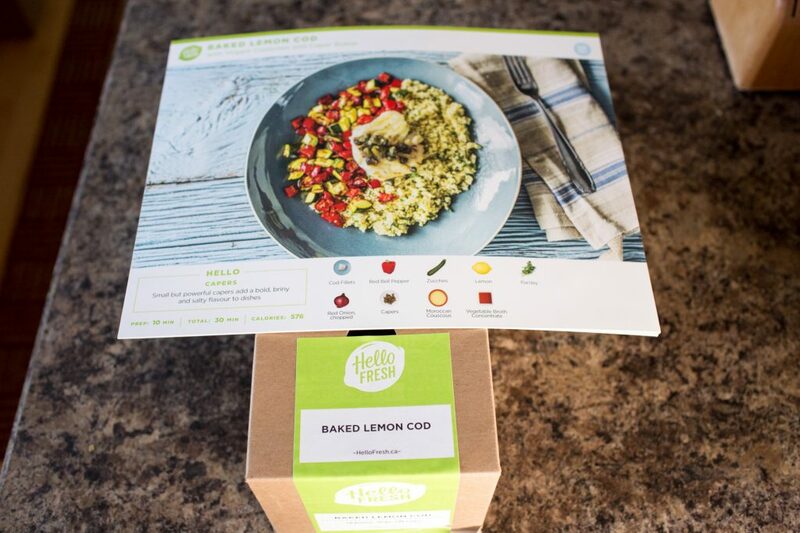 We gave it a try and without further ado here is our HelloFresh Review! 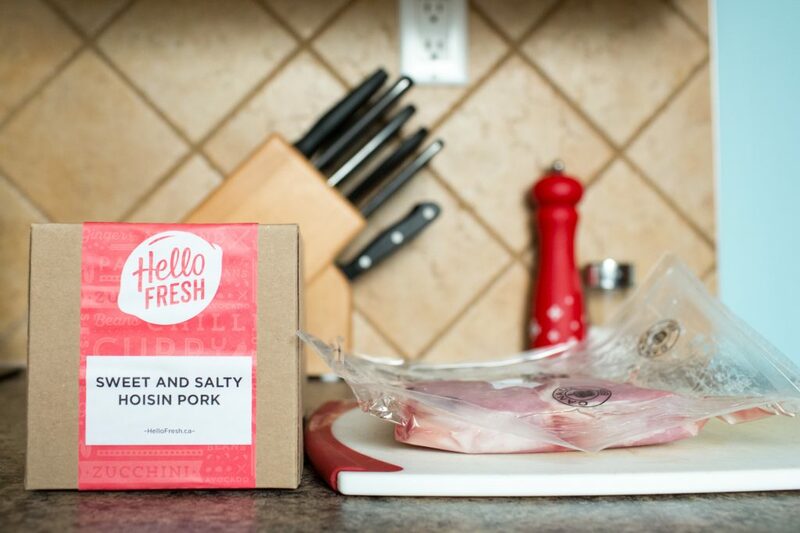 HelloFresh isn’t just a grocery delivery service – its a meal delivery service. Get a large cardboard freezer box delivered right to your doorstep! 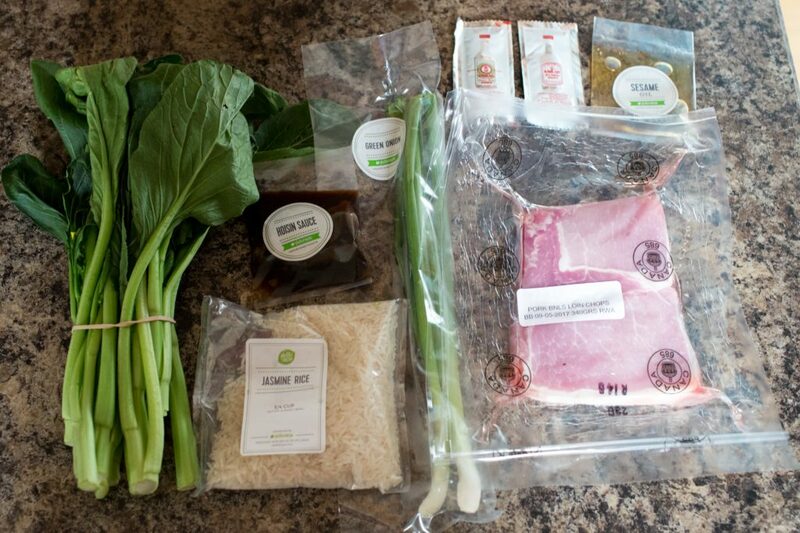 It is full of pre-packaged, pre-portioned meals that you choose from their website. 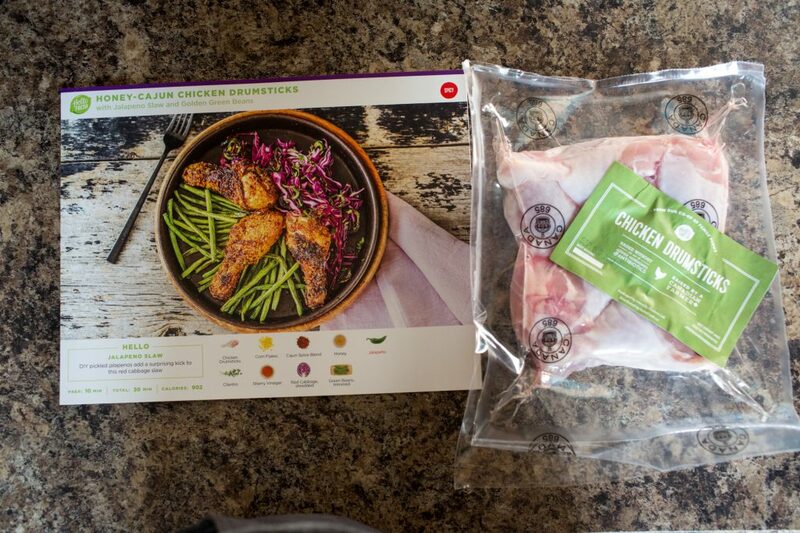 You can order your box by clicking this link, and you will get $40 off your first order! 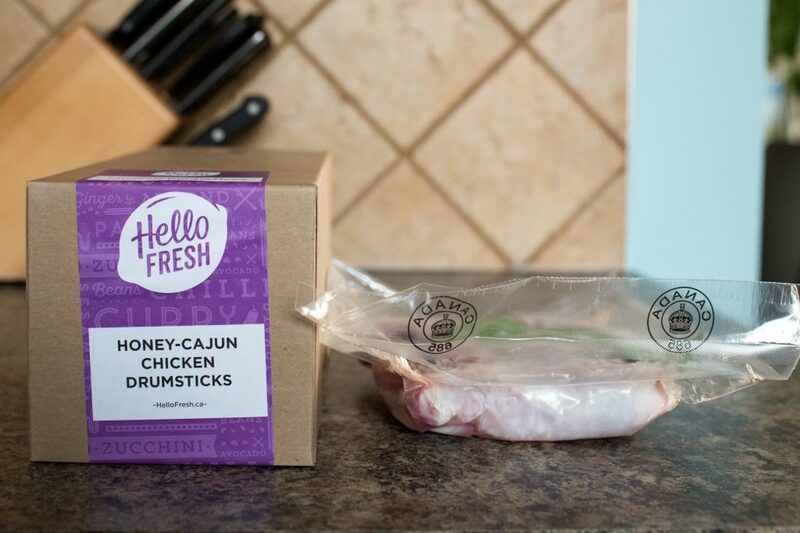 We were pleasantly surprised with our HelloFresh box. 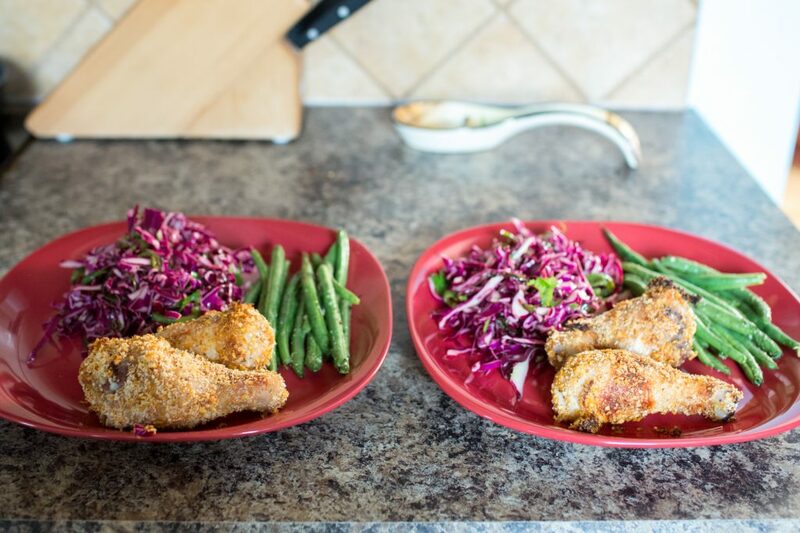 At regular price we do not believe it offers very good value, but if you can get a good discount code, the meals end up being very affordable. It is great to use during a week when you know you are going to be very busy. 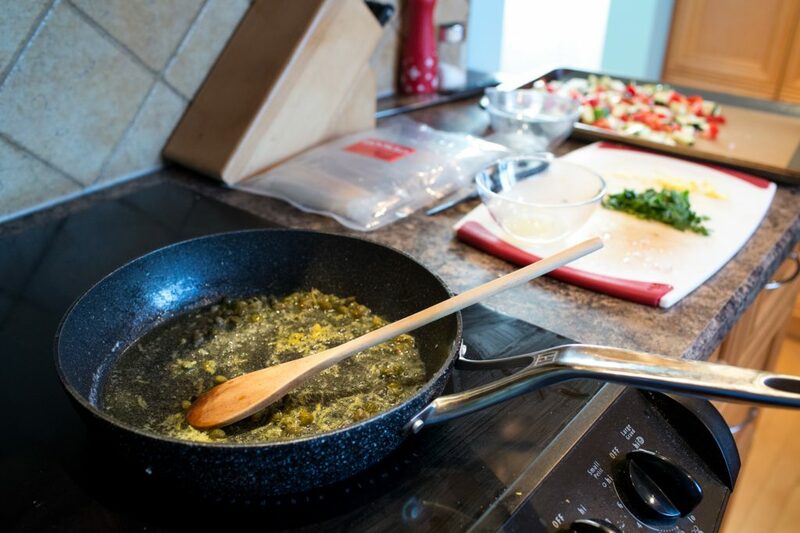 The meals need to be prepped, but each meal only takes about 20-40 minutes to prep and cook. 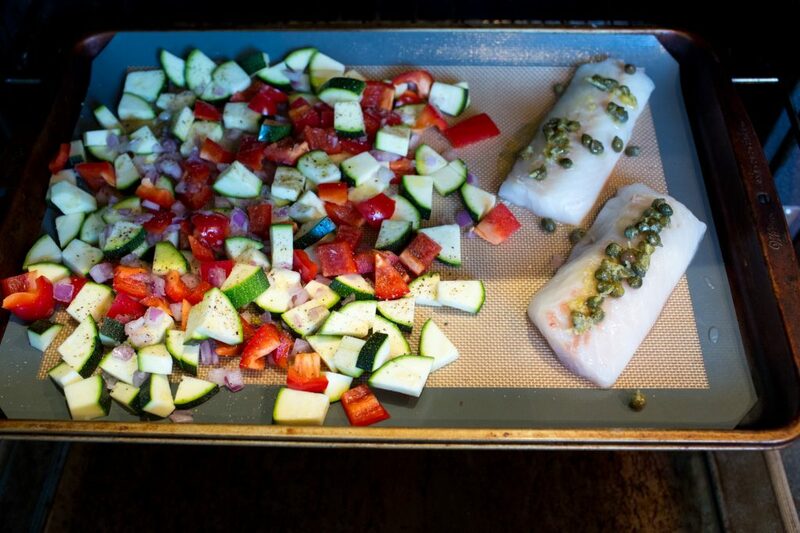 The nice thing about the meals is that you don’t have to think about them. 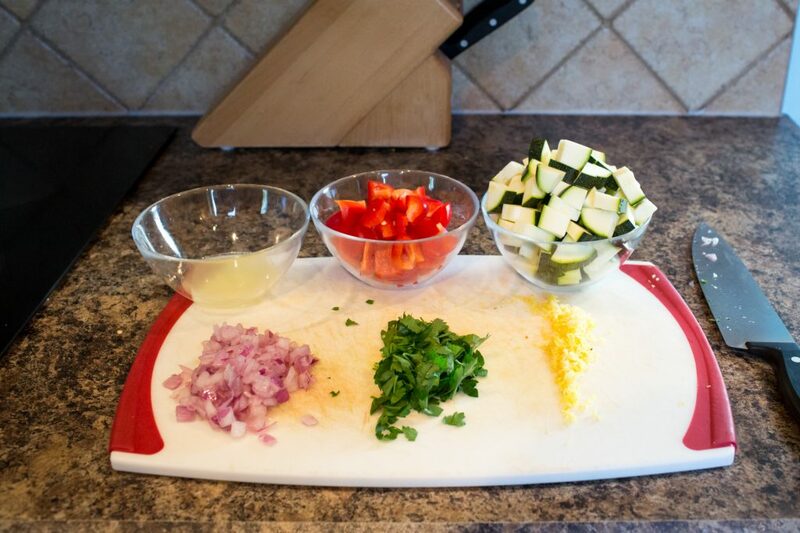 You just follow the recipe and use all the ingredients that are included. 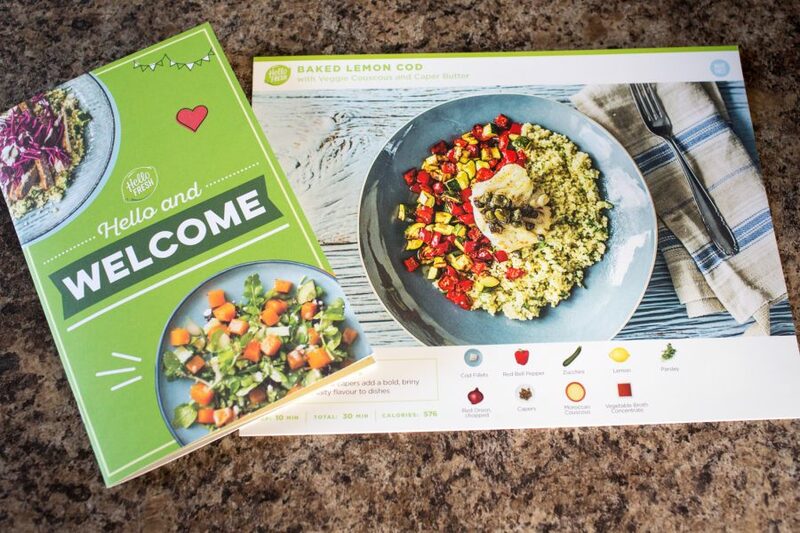 We will not use HelloFresh on a regular basis, but we will use it when we can get discounted meals. 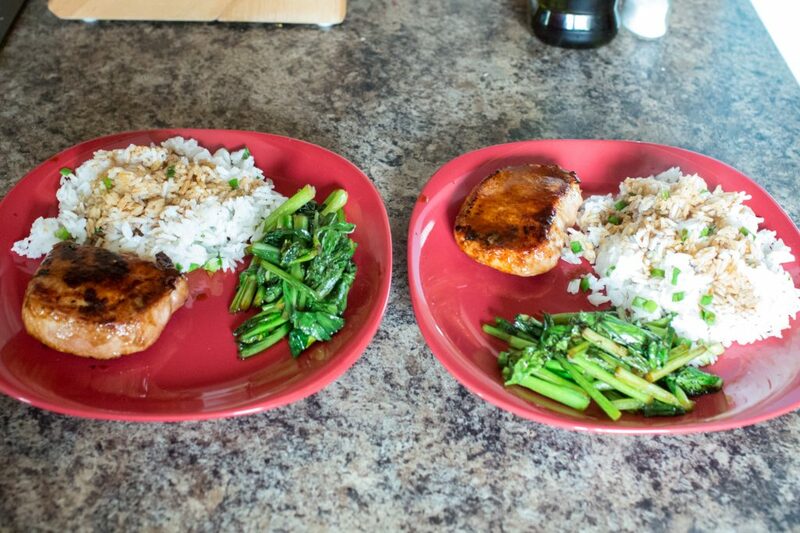 The quality of the meals was excellent, and the convenience is appreciated! 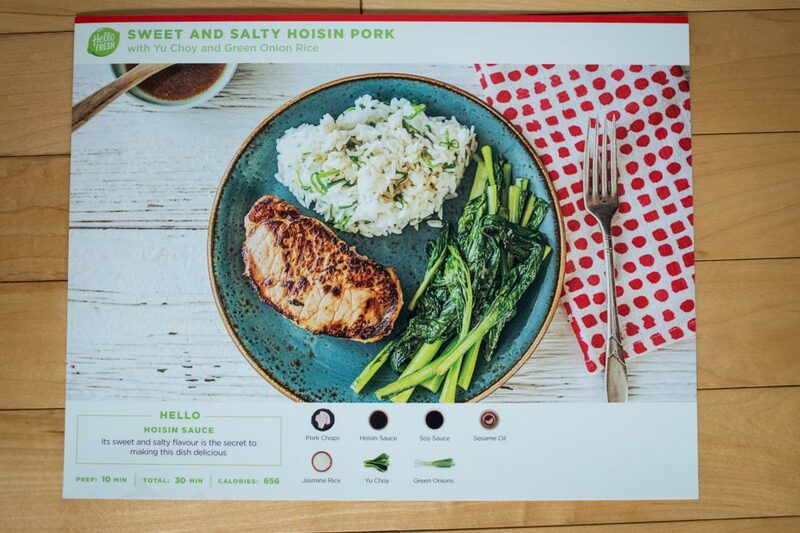 Our first HelloFresh meal – we even had leftovers! 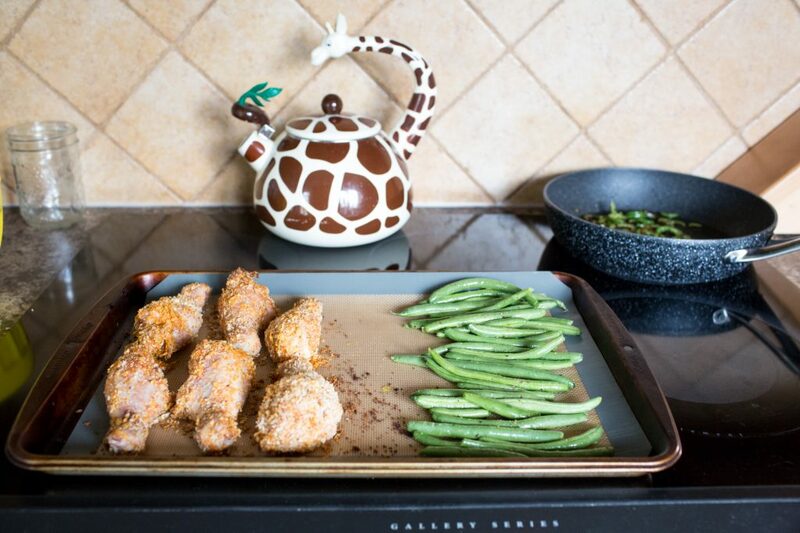 We really enjoyed this recipe! We have made it ourselves recently. 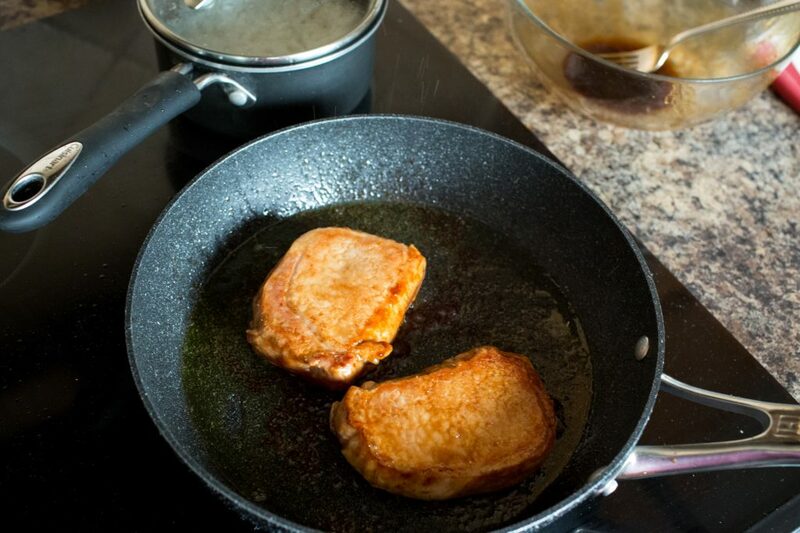 We don’t normally eat pork, but this recipe was delicious! 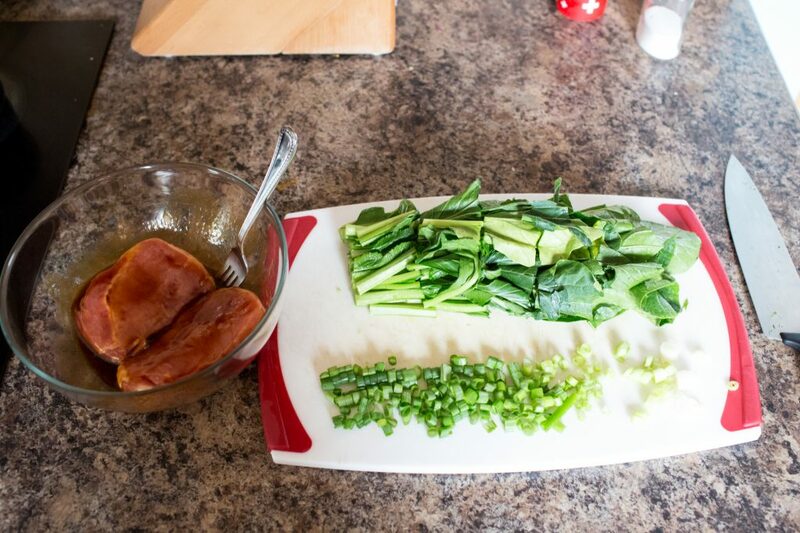 Our first time using yu choy at home! 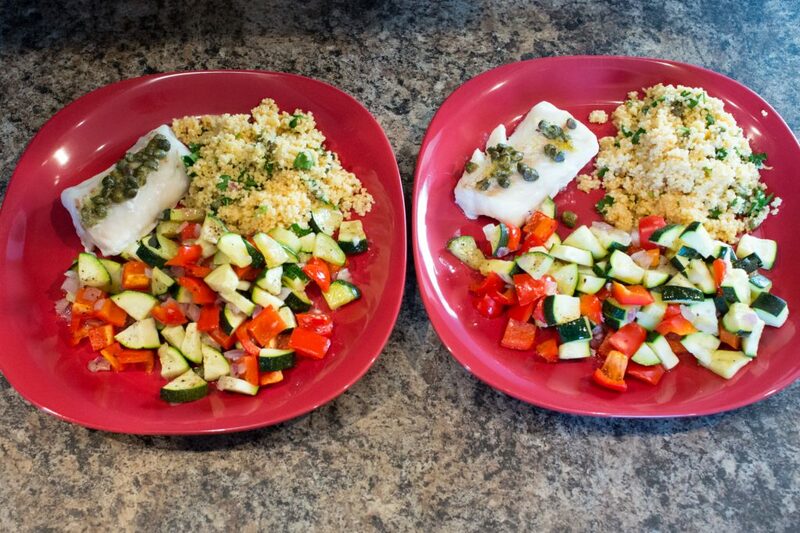 Final product tasted really good!